With your decision to book directly, you are in the right place. Because this ensures you always have an advantage over a reservation on one of the numerous hotel reservation sites. Our recommendation: Take advantage of the Pannonia Tower booking system and save money – whether you want to spend your holiday in Burgenland, or professionally leads you here. The only hotel right next to McArthurGlen Designer Outlet and Fashion Outlet Parndorf - just 10 minutes drive from Lake Neusiedl! 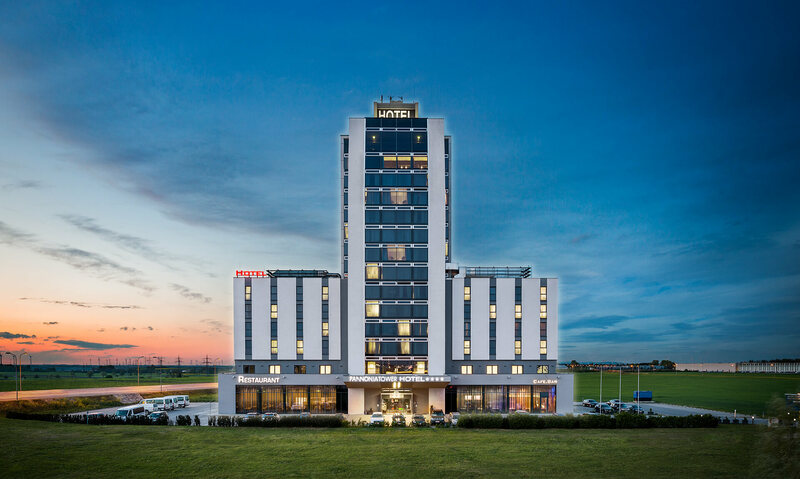 The Pannonia Tower Hotel Parndorf offers 117 hotel rooms, the trendy design rooms on the Ladies Floor and the spacious suite on the 12th floor. In addition, the Tower Lounge offers a magnificent panorama as well as enough space for a special meeting in lofty heights - the view extends to the vineyards and hills of Leithaberge. In a few minutes you are at Lake Neusiedl and cross the enchanting city center of Neusiedl am See. You can make your individual reservation directly through the website - or call us! EXCLUSIVE SHOPPING & BEAUTIFUL WEEKEND! The Pannonia Tower Hotel Parndorf offers with its great shopping package the ideal combination of a shopping trip to the McArthurGlen Designer Outlet and the Fashion Outlet Parndorf with a small but fine short break. The outlet leaves nothing to be desired for anyone who loves trendy fashion. Real bargains and the full pampering program are guaranteed here. 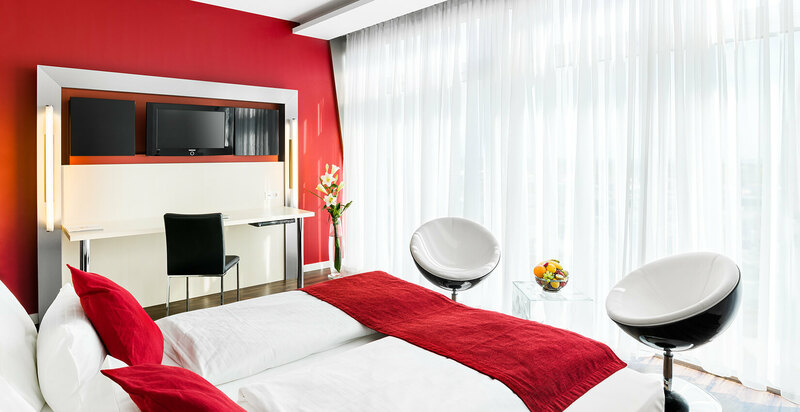 The package at the Pannonia Tower Hotel Parndorf includes two nights in an elegant double room that impresses with its exclusive style and modern facilities. The rooms of the categories "Pannonia" and "Tower" convince by their spaciousness, a modern and stylish furnishing, a beautiful bathroom, as well as a marvelous view - so that your stay becomes an unforgettable experience. Vienna Airport is and will remain a central hub for travelers from near and far who have business dealings in Austria. Did you know that you, your business partners and employees are just under fifteen minutes by car? No doubt about it: You are an expert in your field and know which main topics you want and need to set to make your event in Burgenland a success. Whether on a total of 460 m² event space on the 1st floor for up to 250 people or in the exclusive Meeting Room of the Tower Lounge on the 14th floor - here you are right.  Whether a seminar, conference or corporate event - with the Pannoniatower you have found the ideal venue for your business event. 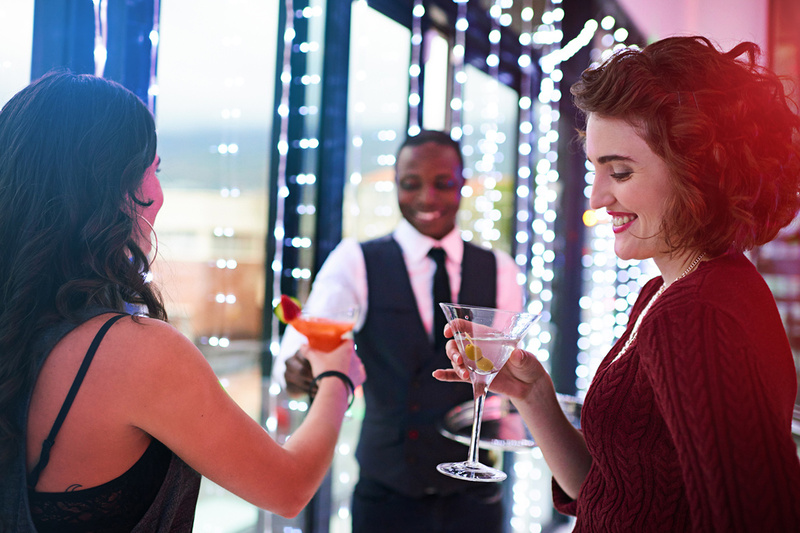 The mood at company and private celebrations as well as weddings or presentations is further stimulated if it takes place in the right location. In addition, if you have competent, friendly and dedicated staff at your side, you and your guests can read every wish from the lips. At the Pannonia Tower Eventhotel you will get your money's worth, both in terms of prestigious and modern rooms, as well as perfect service. Speaking of costs: At the event hotel near Vienna Airport, we are bundling extremely attractive price packages tailored to your needs - please contact us at +43 2166 22252 1624.